If you are a fan of P-bass tone but need a little more push, the Hot P-Bass pickup gives you a the tonal and output burst you need. Built similarly to our Vintage model, the Hot for P-Bass uses a custom high output coil winding for increased low-end response and a fuller sound. What exactly does that mean Basically your P-Bass just got a whole lot better. Its aggressive attack makes it a great pickup for heavier musical styles. 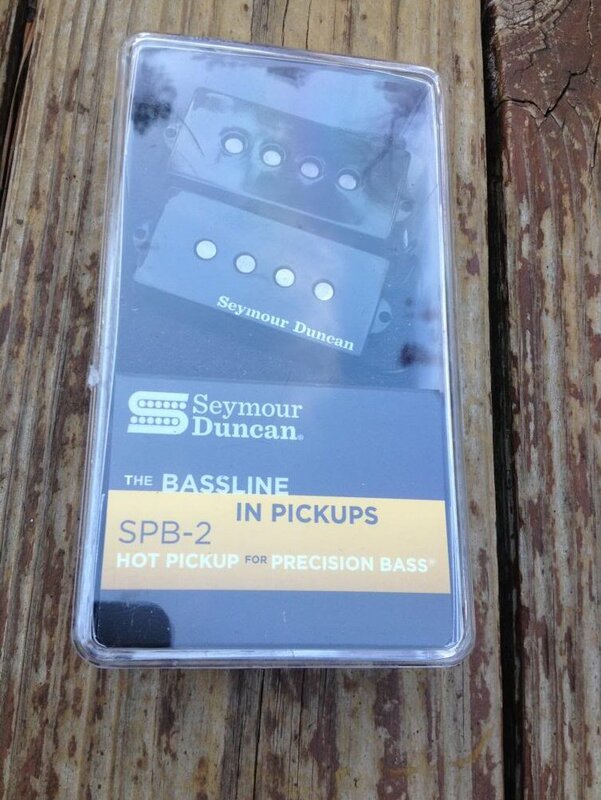 This pickup is a drop-in replacement for any American Standard Precision Bass.Hand built in Santa Barbara, CA, the Hot for P-Bass uses hand ground alnico 5 rod magnets, forbon flatwork, and is vacuum wax potted for squeal free operation. Comes with black cover.